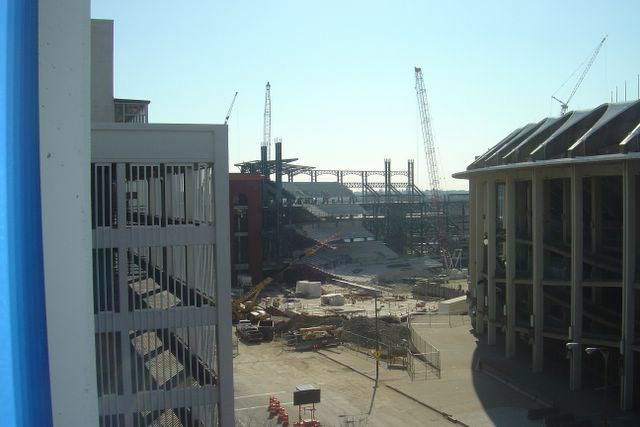 CHECK OUT THE "NEW" BUSCH STADIUM RISING TO THE SOUTH SIDE OF THE "OLD" BUSCH STADIUM. Your tax dollars hard at work. For some reason, Greenscape Gardens has never received any free tax relief. Heck, we don't even charge admissions. We presently have free admissions on any day ending in Y.